A teacher can facilitate effective vocabulary discussions in several ways. Academic games are an extremely effective (but typically underutilized) way to help students engage with academic content. Direct vocabulary instruction can be implemented using a research-based six-step process. Academic games are an extremely effective way to help students engage with and practice new vocabulary terms. There are many simple activities that help students add to their knowledge of vocabulary terms. Students’ vocabulary knowledge is directly linked to their success in school. Using dictionary definitions to teach vocabulary is usually ineffective. A good way to augment students’ vocabulary knowledge is to have them examine similarities and differences between words or concepts. For instance, he or she can use response techniques that let all students know there is a possibility that they will be called on. Stahl and Charles Clark (1987) investigated the effects of discussion on vocabulary learning and found that students who anticipated being called on learned as much as students who were actually called on. Students who didn’t expect to be called on learned less. In other words, students don’t necessarily need to talk during a vocabulary discussion to learn. They just need to anticipate being asked to talk. (p. 34). Games should arouse students’ curiosity. Games should prompt students to imagine different circumstances and situations. (p. 36). These techniques involve both linguistic and nonlinguistic ways of interacting with a term. Depending on the amount of time a teacher has, each of these types of examples can be extensive or brief (p. 18). Ask students to construct a picture, symbol, or graphic representing the term or phrase. Engage students in activities that help them add to their knowledge of the terms in their vocabulary notebooks. Involve students in games that allow them to play with terms. The six-step process can be used with students of all ages and works equally well in self-contained classrooms (usually at the elementary level where one teacher teaches every subject) or in content-specific classes (as are usually used at the middle and high school levels). Teachers can devote as much or as little time to each step as they have available (p. 14). For all practical purposes, the number of potential vocabulary games is infinite. Some games, such as word walls—in which students are encouraged to look and listen for new words and add them to a classroom poster—are ongoing throughout the course of a year. Other games are confined to smaller periods of time. Vocabulary games are engaging and give students opportunities to extend their knowledge about specific vocabulary terms. Each game should be followed by an opportunity for students to return to their vocabulary notebooks to record new knowledge and information about various terms (pp. 36–40). For example, a teacher might ask students to say or write any words they think of when they hear a target word. When used orally, this is an excellent activity for small intervals of time, such as when students are waiting in line to go to lunch or recess or during the last minutes before it is time for students to change classes. Students can complete this activity as a class, in small groups, in pairs, or individually. The teacher should allow students to brainstorm related words for a specific period of time and then ask students to stop. If students have been saying words aloud, the last person to say a word then briefly explains how that word is related to the target word. If students have been writing individual lists of words, students could trade lists and ask their partners to explain any words that are unfamiliar or don’t make sense (p. 24). Not only is vocabulary an important part of reading comprehension, but knowing what words mean also allows students to make connections between previously learned information (background knowledge) and new information. Studies have shown that students with greater background knowledge about a topic learn more, remember more, and are more interested in what they are learning (p. 5). Dictionary definitions are not necessarily designed to give the clearest explanation for a word; in fact, they are designed to save space. Alternatively, descriptions rather than definitions can be used to explain and exemplify words by illustrating the word in sentences or explaining it in contexts in which it is commonly used. 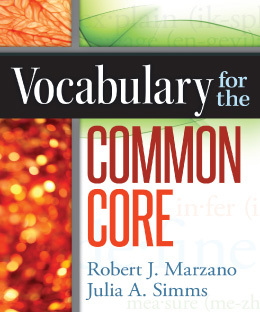 This helps students gain a clearer understanding of the word and how it is generally used (pp. 15–16). Marzano, Pickering, and Pollock (2001) identified four strategies that students can use to identify similarities and differences: (1) Comparing and contrasting allows students to identify attributes that are the same or different between concepts. (2) Classifying involves grouping concepts into categories based on their attributes. (3) Creating metaphors asks students to find connections between ideas that do not seem connected at a surface level. (4) Creating analogies involves describing the relationship between a pair of items or concepts by comparing the pair to another pair (p. 24).